Moving Into a New Home in Knoxville, TN? Buying a new home is an exciting venture, but you need to make sure you're not buying a house with hidden problems. Home inspections offer peace of mind when purchasing a new house. Once you read your inspection report, you'll be alerted to any potential hazards or damaged areas. Home Town Inspections LLC has been performing home inspections in the Knoxville, Tennessee area for years. You can depend on us to inspect a home thoroughly and give you a comprehensive report of our findings. Our inspection services also include Condo & Townhome Inspections as well as New Construction Inspections in Knoxville, TN and surrounding areas. We're a certified energy auditor, meaning we tell you how energy-efficient a home is. A home inspector can also provide you with a termite letter free of charge. Are you buying a new home in Knoxville, Tennessee? 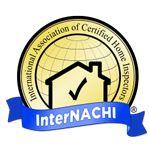 Get started with your residential home inspection today by calling 865-323-7050. Ready to Purchase a Log Home? Why choose Home Town Inspections? With several years of experience in the home inspection industry and nearly a decade of construction experience, the team at Home Town Inspections has all the tools to perform a thorough inspection of your home. Your long-term happiness is our top priority, so we want to make sure we find any issues and bring them to your attention ASAP.